Numbers are hot, hot, hot right now!! 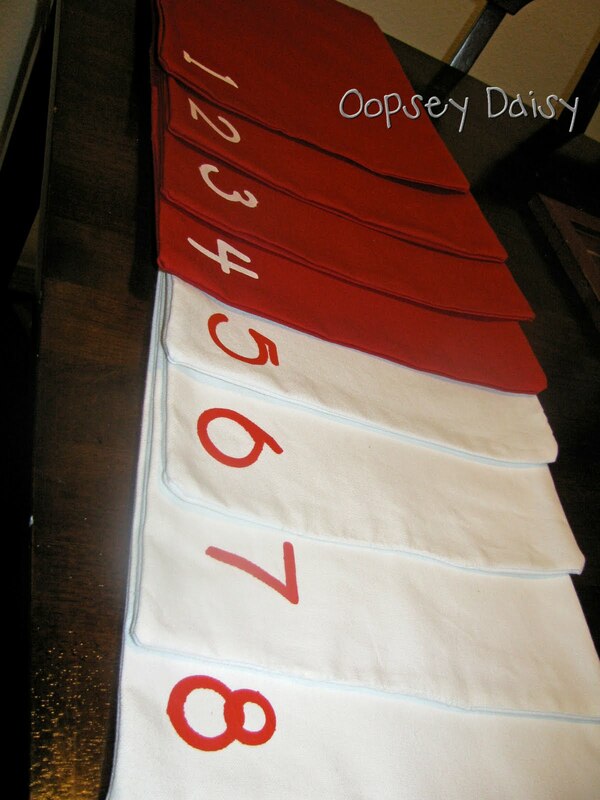 I am loving the idea of numbers.... so I decided to make some numbered placemats! Admittedly, we rarely use placemats. My hubby thinks casual is the way to go, so I never had much need for *cute* placemats until now. I've decided to up my game with my kitchen table setting! I used duck cloth because I wanted something sturdy. I decided to make 4 red placemats and 4 white placemats. 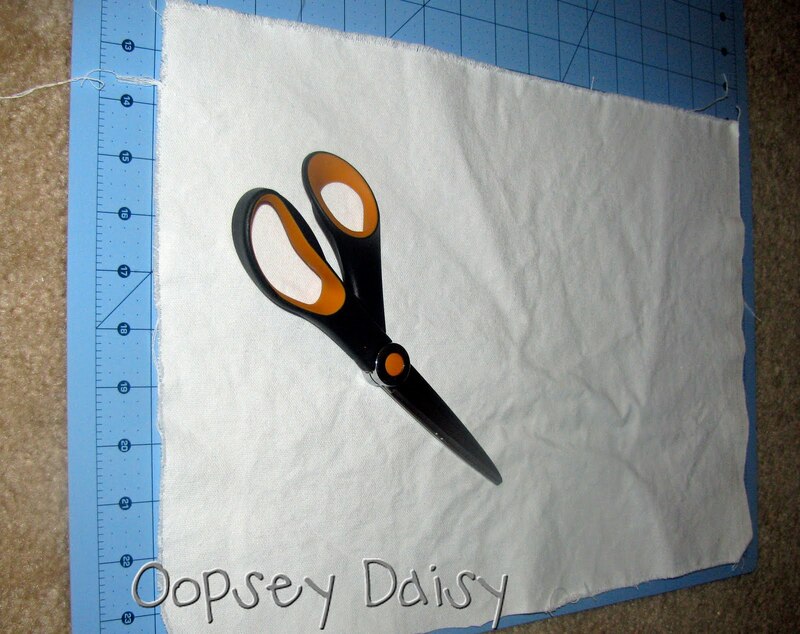 I cut my fabric pieces about 16 x 20. I needed a front and back for each placemat. 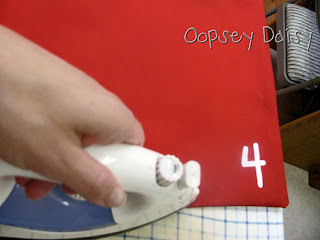 Iron your fabric so it's nice and smooth before painting. 2. 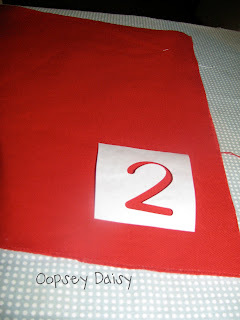 Make stencils using freezer paper. 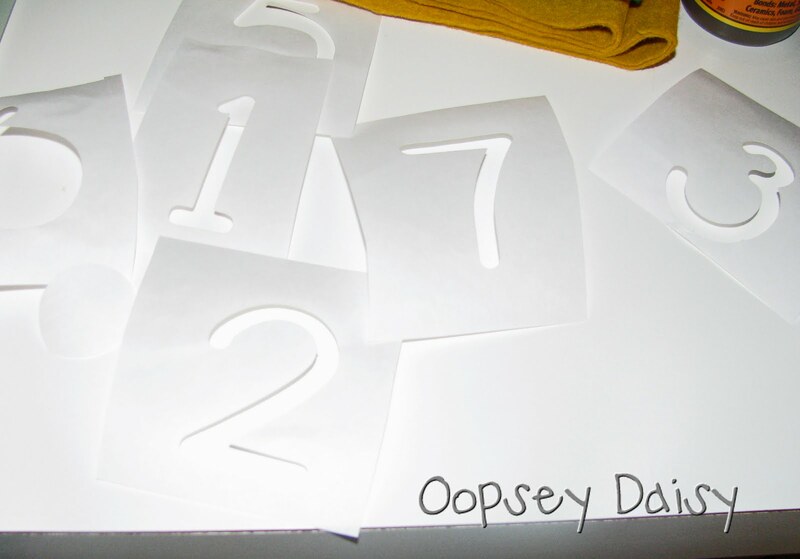 I used my Cricut to cut out my number stencils, but you could also you a razor blade. 3. 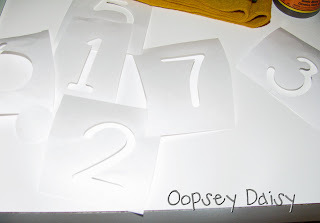 Iron on your freezer paper stencils. 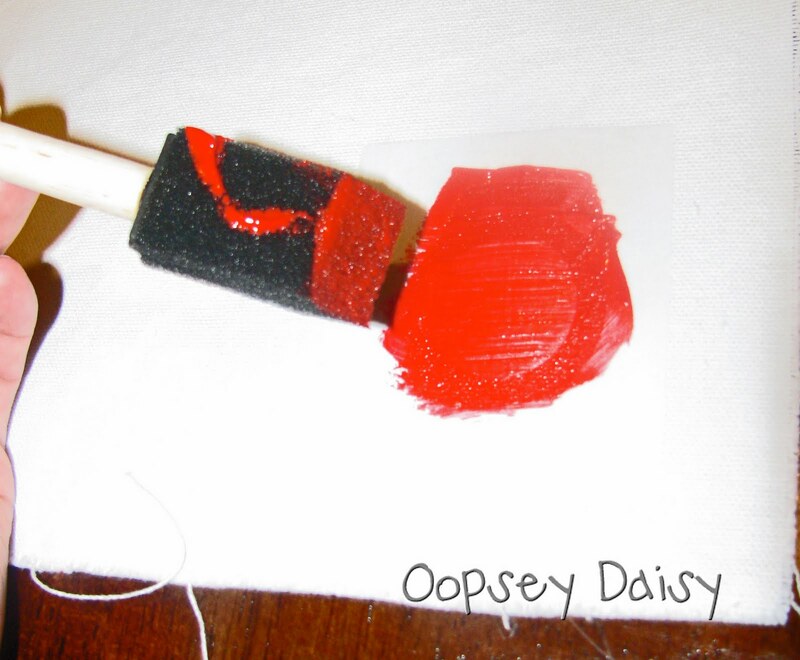 Be sure that you iron your freezer paper with the smooth side down. I also ironed some scrap freezer paper on the under side of my duck cloth to prevent any bleeding. 4. Prepare to paint your numbers! I painted white numbers on my red placemats and white numbers on my red placemats. I used Tulip Matte paints. I painted over my stencil, let the paint dry for about an hour before repeating. I gave each number 3 coats of paint. 6. Pin your front and back together. Pin right sides together (that means the number you painted will face inside). Sew all the way around the placemat with a 1/2 inch seam allowance. Leave a spot to turn inside out. I like to leave my opening in the center of one of the 4 sides. 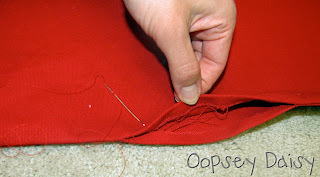 After clipping my 4 corners, I turned my placemat inside out. I really had to work my 4 corners to get them as pointy as possible. I like to use a tool like a pencil eraser to poke out those corners. Sew up the opening of your placemat! 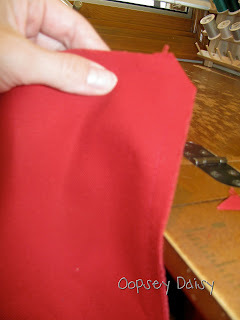 Give those beauties a nice, finished look by pressing the seams. I am so happy with how my placemats turned out!! So simple. So elegant! Now all I need is new table setting to match!! PS Have you noticed my new snazzy menu bar? You can see where I link my projects by clicking my Link Parties tab. 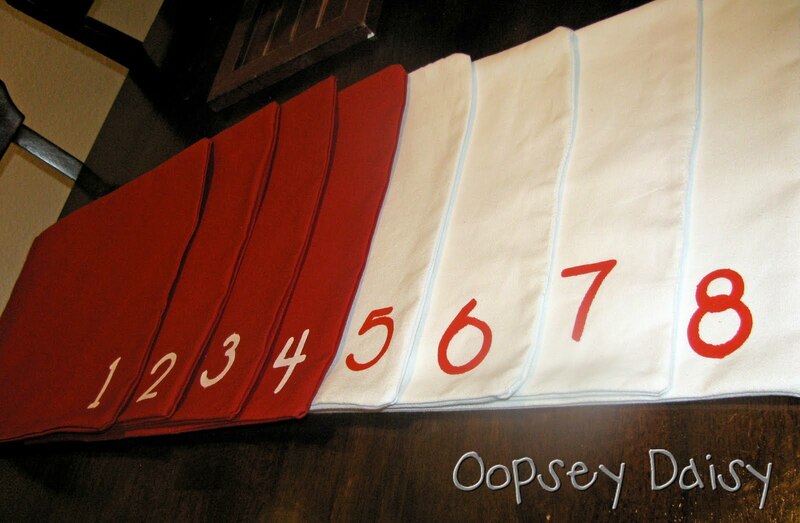 these look so simple & so darn cute!! 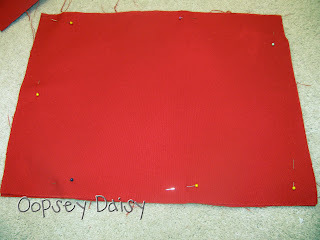 I actually think I can sew a placemat after seeing your tutorial! I might give these a try. 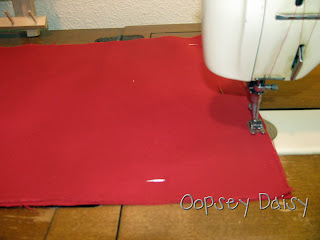 I so wish I could sew, but then again I so wish I even had a machine! 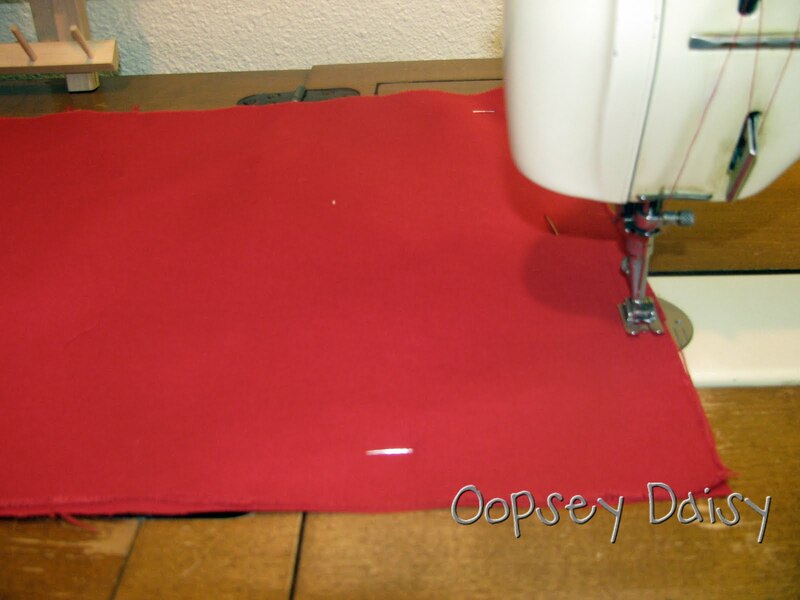 You make all these sewing projects look so easy! Love the placemats!! Very cute! I love the red and white combo. Great job!! So stinkin cute! Lovin the numbers all over the place too! Those are super cute!! I love that you painted on the numbers! those are soo cute! i love the opposing colors! These are great! They turned out so wonderfully! And perfectly simple too. Thanks so much for the sweet comment on my blog. 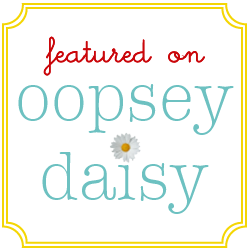 So flattering that you look at my stuff because your blog is AMAZING! Thanks! Love these! Featuring this post today! 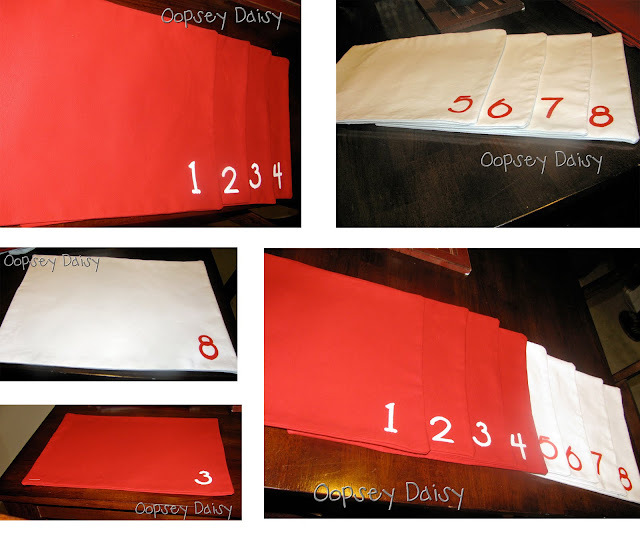 Your placemats turned out adorable! Thanks for the great tutorial, and for linking @Creative Itch's "Sew Cute Tuesday"! Love Love LOVE these placemats! My dream is to make some with initials and monograms. I have a similar project using dinner napkins that I give away as wedding presents. Come check out my blog! These are adorable. I love red. Cute cute cute! I want some! I have never heard of duck cloth, but it looks awesome! Thanks for linking up to Hoo's got talent! How fun! Love the idea, I still need to try out freezer paper stencils. Visiting from Take a Look Tuesday. You pics for this post are great. Oh, I love numbers too! Your Place mat turned out so nicely. Thank you for sharing! Great job! I love the number detail, nice! 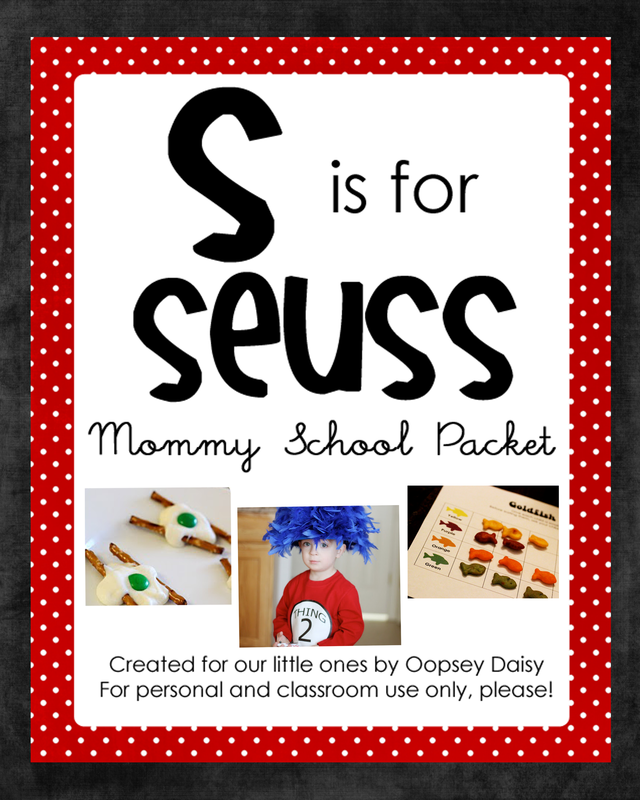 What a cute project. 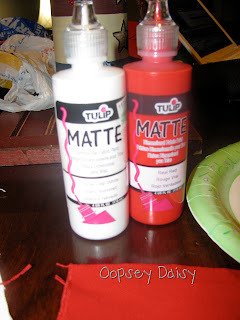 Plus the red and white is a nice change from neutrals and black :). These turned out SO cute~ Once the remodel is done and I actually have my OWN dining room table I'll have to come back and try these out! 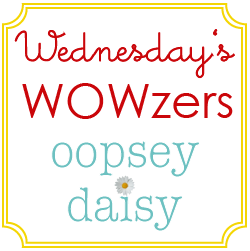 Thanks for the great tutorial and Thank you for linking up to Topsy Turvy Tuesdays!